RustyBrick offers a wide variety of apps built in house. We pride ourselves on creating cutting-edge experiences. We build all kinds of apps across many platforms. 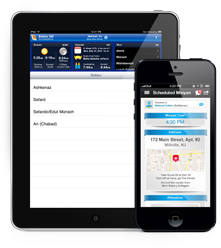 We have many iPhone and Android Apps ranging from informational, to life improvement, to Jewish specific apps. We have also developed several web based tools, Google Glassware, as well as tools specifically for the SEO industry. Here is a list of the iOS (iPhone apps) that we've developed at RustyBrick that are available for you to download and use. The list of apps include many Jewish oriented apps, but also some generic apps. RustyBrick also builds apps for customers on a contract-by-contract basis, more on that here. Here is our list of applications design for Android that we've developed for anyone to download. 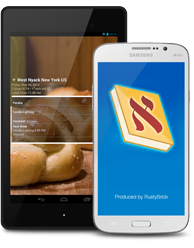 Looking for our Android Siddur or one of our famous apps, find them here. We also create a large amount of our own apps in-house for consumers. 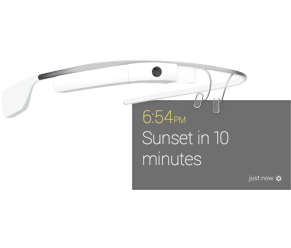 We are Google Glass Explorers but we even developed several Google Glass apps. Want to see our Glass Apps including our Jewish Guide For Glass and other apps? We also do Glassware development. Over the past dozen years or so, we have products some software packages as well as tools for the industries we know well. That includes SEO tools for the SEO community and other applications for bloggers and the synagogue management industry.